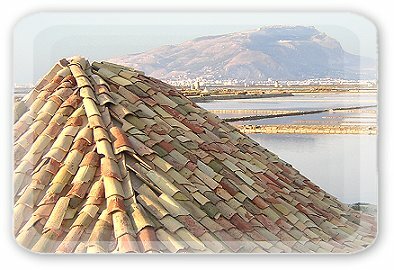 The salt pans of the "Consorzio Sale Natura" company can be viewed as true sun and wind factories. By means of the hot sun and of the fresh Mediterranean breeze they extract from the pure marine water of the Sicilian sea a product simple but effective for our living: the sea salt. The sea salt is a very precious product since a lot time ago. It was used as money and exchange good since the Phoenician age: just remember that the term "salary" comes from the word "salt". In these days the handicraft sea salt lives a new youthness. For several years people preferred to use the rock salt instead of the sea salt because of its lower production cost. However, there are a lot of facts that suggest to use the handicraft sea salt of the Consorzio Sale Natura instead of other salts. It has, for exsample, a lower quantity of sodium, as well as the presence of some trace elements very useful for the optimal developement of the human body and the capability of being used in little quantities, due to its stronger salting power. This explains because a increasing number of people today uses the andicraft sea salt, as well as several alimentary firms.The handicraft sea salt of the Consorzio Sale Natura is made in the coastal area that joins the towns of Trapani and Marsala. Due to the intensive efforts of the Consorzio Sale Natura, it is a recognized Slow Food Presidium. The Consorzio Sale Natura is a consortium of sea salt producers established since 2003. The consortium actually consist of four producers that agreed to subscribe the very tight rules that are required to meet to be allowed to be a members of the consortium. The handicraft sea salt of the Consorzio Sale Natura is made and naturally dried in the salt pans of the homonimous Natural Reservoir following the tecniques set up by the Phoenician more than two thousands years ago. The Consorzio Sale Natura is committed to create a product whose production cicle is fully natural, thus offering a fully handicraft sea salt characterized by outstanding organoleptic qualities. These latters also comes from its low sodium content and its high content of trace elements salts of iodium and potassium. 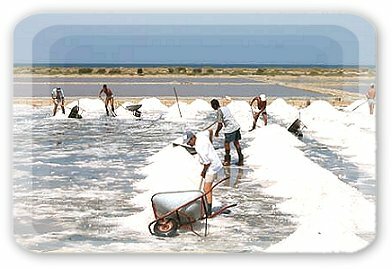 The passion and the love for the restoring of the ancient culture and traditions of the job of salt pan workers fully fills the dayly activity of the Consorzio Sale Natura. Among the members of the consortium there are the holders and founders of the "Museum of Salt" that can be viewed where the same salt pans are. This museum is a unique one, where people can view the ancient history of the salt pans along with the ancient instruments and several drawings showing the complex structure of a salt pan. The punctuality of the deliverings and the security of a unique product make the Consorzio Sale Natura a ideal business partner where to buy your handicraft sea salt.